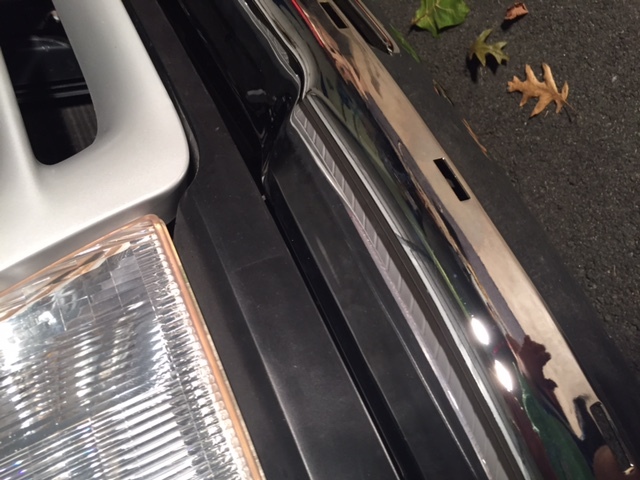 I'm replacing the front bumper on my 97 XLT since the guy I bought it from had smashed it. So, I ordered a replacement bumper, impact strip and valence. 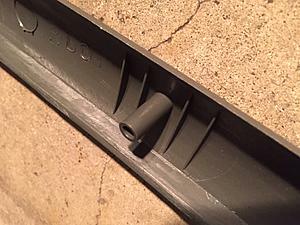 The new bumper has the normal slots for mounting the impact strip like to original one on the old bumper. However, the new impact strip just has round posts and not the rectangular tabs like the old one. What do I need to use to fasten these posts? I am guessing there is some kind of clip that goes over it? Pictures attached. Thanks for any help! Not sure what the intended fasteners are. Looks like push nuts would work. They probably have them at the local hardware store.